Industry consultant Bryan Hart talks about what it takes for growers to run a successful business and issues they are facing regardless of where they are located. 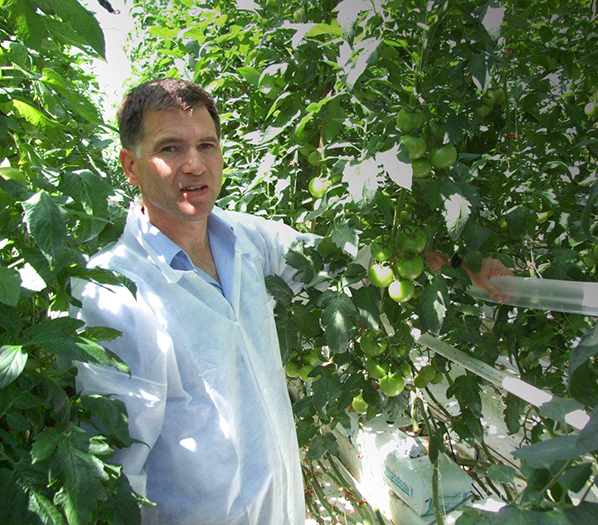 Bryan Hart is a greenhouse industry consultant who has 24 years of experience working as a consultant and/or grower. He has worked with growers in seven countries, including the United States. Hart sat down with Urban Ag Products to discuss issues growers are dealing with regardless of their business size, market or location. Q. When consulting with new growers about starting a greenhouse business, what is the most common misconception/mistake that most growers make? A. The “new” grower has a number of motives to start an enterprise. In my experience the misconceptions typically relate to issues around those motives. For example a few years ago when the recession hit and middle management personnel were being laid off, a number of new horticulture industry entrants were looking to “buy” some job security/self-determination. Typically these folks had no idea of the time inputs required to make a business happen. Visits to successful greenhouse operations typically show neat, organized work environments growing flowers or vegetables. So many of these unemployed “would-be” greenhouse growers thought a venture into this world would be able to provide them with the lifestyle and income they were seeking. The reality for many was quite different, including long hours, hard physical labor, struggling with supermarkets or other professional buyers and incomes that didn’t match their expectations. Other examples of misconceptions can be large investors that see the “factory” style development of Venlo-style glass operations and think it should be all computer-controlled, weekly-programmed crop production with guaranteed ROIs. Those guys only see profit-and-loss statements and balance sheets. They forget or were unaware that Mother Nature still has a part to play in a horticultural business. Also for large operations, people drive the business and for new builds, obtaining experienced staff to run the operation and do the crop work can be difficult. Productivity is intimately linked to staff tenure and it takes time for efficient production to get up to speed. Attaining some reality and pragmatism about production-related issues can take a while for some investors. Previous articleA Guerilla Gardener in South Central L.A.